Those who strolled through Careel Bay playing fields or along the shore at Careel Bay during the pre local government elections would have been approached by people forcing on them the below 'how to vote' leaflet. The lobbyists were not interested in any discussing any other point of view. The same councillor preferenced, who voted against Pittwater Council seeking to defend its right to exist via legal action, action that proved successful for those who did so and remain intact, secured a seat as a representative for Pittwater in the forcibly amalgamated council and pushed for what was promised to the 'how to vote card' volunteers. As a result the community is now asked to have its say on allowing dogs off-leash into an area known for its endangered ecological community, known for being beside a golf course where an errant ball may whack someone in the head, as has occurred at Mona Vale since a public pathway was installed alongside it, known to be a place where seabirds live and have lived for a long time, known to be a place where people who breakfast at The Beach House stroll, known to be a place where thousands of visitors to Barrenjoey Headland and Lighthouse visit, and known to be a place where Palm Beach residents are already walking their dogs, leaving a faeces trail behind them. In the most recent State of the Beaches report Station Beach/Barrenjoey Beach, showed the highest range of faeces present of all estuary beaches. If it is not dog leavings, per the definitions of such annual reports, then the faeces present must be that of birds, lots of birds, and not an area suitable for dogs to be running around off-leash in. The area proposed is meant to terminate at the Boat Shed wharf. However, posts on the Pittwater Unleashed Facebook page make clear their intention to gain access to the Barrenjoey Headland National Park. Being granted access to the beach that runs to its entrance would facilitate this. Last night's lightning-strike fire on Lion Island is a solemn reminder of the force of mother nature faced by our native wildlife from time to time. It causes us to remember the most recent occasion - nearly five years ago to the day - when Barrenjoey was similarly stripped of its native inhabitants, with reports at the time estimating that 99% of the bushland was burnt. As we think about the tragic loss of life, it is also a time to reflect on the comparative nil-impact of allowing dogs to be walked "on-leash, on-path" to the top of Barrenjoey. This is a family activity many of us enjoyed when we were kids until the rules were changed on a whim. Pittwater Unleashed is pressing for the access rules to be reviewed - we say Barrenjoey is there to share, just like it used to be. Barrenjoey is National Park only by a quirk of history. The former Council opted to hand management of the headland to NPWS in 1997 as an administrative measure to save costs because that land shared more similarity with West Head than it did with the tombolo and residential parts of Palm Beach. Prior to it being handed over, dogs were regularly walked to the top. Indeed, the lighthouse keepers historically kept dogs and cats for company and to keep rats at bay. There are options to make parts of National Parks accessible to people walking dogs provided they remain "on leash and on path". This might be a suitable option for Barrenjoey as there is no incentive whatsoever to stray from the path - people are intent on getting to the top for the view and do not have need or desire to move off the disturbed thoroughfare. There is plenty of precedent for "dogs in National Parks". It comes down to risk assessment. For instance, spaniels are widely used in National Parks to locate fox dens and this helps reduce reliance on scattering our National Parks with rat poison. Dogs are also used to locate human remains and to assist with other forensic work in National Parks. The idea of allowing dogs on-leash, on-path to the top of Barrenjoey is no pipe dream. The period where this has not been permitted is only 20 years out of the last 130. There is a theory bandied about that to allow dogs on-leash, on-path lays down a scent that would cause bandicoots to keep clear. Anyone who believes this nonsense needs to take a closer look at the residential backyards across the former Pittwater LGA where the bandicoots have elected to move in alongside the family dogs. The bushfire did not destroy 99% of the headland’s bush, as shown in these photos taken straight after that event. western portion of Barrenjoey in 2013 - photographed during Lion Island challenge, October 12th, 2013 - rain immediately after the September 28th fire caused the ground to be alive with ants and green fronds. The idea that dogs were once allowed on Barrenjoey is based on dogs being kept by lightkeepers, in the 1800’s and early 1900’s, and that the rules were changed by ‘council in 1997’ is also incorrect. Barrenjoey was part of the Napper land Grant usurped from the original inhabitants of this land. 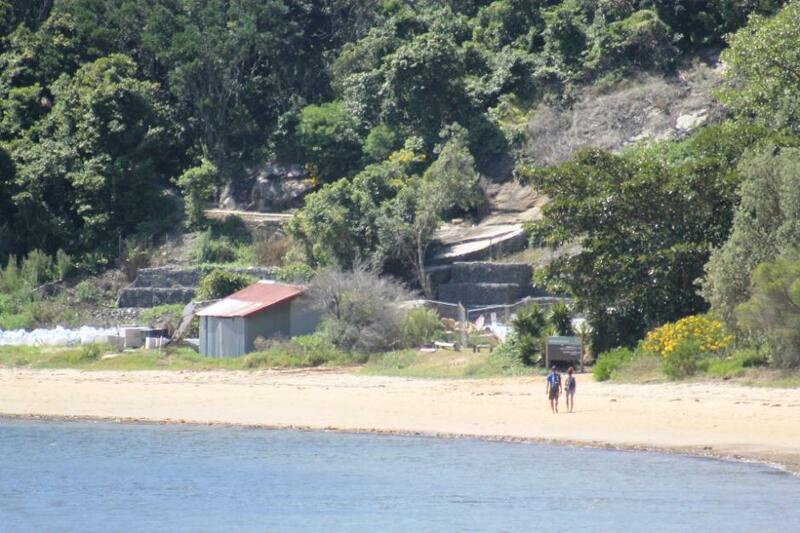 It became the Broken Bay Customs Station in 1840 when part of that land was usurped by the state government. It became a lightstation in 1878. In the just gone century: In July 1915 the Commonwealth took responsibility for 179 marine marks including 104 manned stations of which Barrenjoey was one, although State and Commonwealth bickering meant that it was not taken over until 1927. In 1931 as part of the use of Broken Bay as a live aerial bombing exercise range, bombing signals were installed at the lighthouse which were monitored by the Keepers. The lighthouse boatsheds were used for storage of the target floats and equipment. Despite the defence presence, the empty cottages attracted vandals with a report from 1944 noting that the cottages had been broken into and one cottage damaged. After this a renewed interest in having the site occupied saw Warringah Shire Council receive permission to occupy a portion of the unused defence reserve in 1949 (Governor Phillip Park). From 1946 a number of young Sydney artists had been visiting the lighthouse and some began to stay at the cottages, forming the nucleus of a small artists’ camp that remained until 1961. Following the artists, the cottages were again empty and appear to have once again been damaged by vandals. In 1968 Jarvis Sparks took over the lease of one of the lighthouse cottages. Sparks set out to restore the cottage, which he did over the next thirty four years while he and his wife lived on site. Sparks became a local expert on the history of the lighthouse, writing two books on the history of Barrenjoey lighthouse during his time there. During the same period, the other two cottages were also leased and occupied. Jervis did not have a dog on Barrenjoey Headland at any time throughout his tenure - he was one of the original members of the Chase Alive team; bent on sharing knowledge of the history and local flora and fauna of Barrenjoey. Jervis and one of his Whistling Kites - at Barrenjoey! Barrenjoey headland went from the State government to the Federal governmentand back to the State government to become part of the National Parks and Wildlife Service estates. It has never been under the jurisdiction of any council. It began as a military reserve and is now an aquatic reserve, known to be the home, still, of many species of ground dwelling, tree dwelling and rock dwelling furred, feathered and finned creatures. Councils, first Warringah, and then Pittwater, have only ever had jurisdiction over and responsibility for Governor Phillip Park. There's some more on the history of Barrenjoey Headland, for those interested, below. The Barrenjoey Seal - regularly seen basking on the rocks at Barrenjoey. 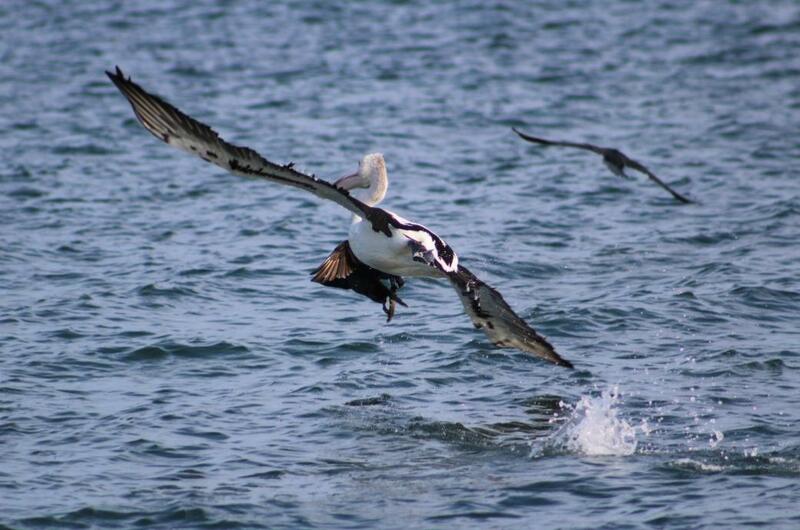 A couple of the real Station Beach locals. Those whose dogs killed and destroyed the birdlife at Careel Bay, which was once much more prolific than it is today, or who ignore ‘no off-leash dogs’ signs everywhere else and threaten physical violence to any who point out their dog is not meant to be chasing the birds, or 'troll' any who disagree with them on social media sites, can apparently be trusted to do the right thing here, despite the above clearly stated intentions. Day by day the amount of correspondence being received from parents whose children have been bitten by dogs, or had an off-leash dog rush up to them, scaring them, or adults who have been attacked, or other dogs that have been attacked by off-leash dogs in on-leash areas, and those not in control of their dogs, and the photographs of people with dogs off-leash where they are not supposed to be, is growing. Considering there are places in Pittwater where it would be safe for those who insist on claiming for themselves areas in which to share dabbling their feet in saltwater with their dog, areas such as the south end of Whale Beach where there is actually enough parking to keep owners and pooches safe, a green lawn area for doggy rolling around on, and an outdoors café wherein company and coffee may be enjoyed, the selection of Station Beach is not a popular one with the thousands of other residents who live here. The Dog Act 1966 evolution to the Companion Animal Act 1998 shows a shift from controlling dogs to governing dog owners. They were preceded by the Dog and Goat Act 1898, for those who like to look deeper. The impetus for the Companions Animal Act 1998 was a changing pattern of pet ownership, ‘partly as a result of different approaches to urban development and workforce participation’, and a change in community expectations about what is required of a responsible pet owner. In the 1960s, houses were further apart, with smaller houses on a block than now — that is, there was more yard and more distance between houses. During this period, dogs were allowed to wander the streets. Women being in the workforce was also much lower in the 1960s. These factors meant dog barking or dog attacks were less frequent than now, as they had more yard in which to entertain themselves and freedom to roam, and there was a much greater chance that someone would be at home during the day. Urban growth has required changes to the regulation of cats and dogs, changes to the way common communal spaces may be used, to provide for the protection of wildlife, protection of people (children for example), and protection of the environment. (1) A dog that is in a public place must be under the effective control of some competent person by means of an adequate chain, cord or leash that is attached to the dog and that is being held by (or secured to) the person. (b) if the owner is not present at the time of the offence and another person who is of or above the age of 16 years is in charge of the dog at that time—that other person, is guilty of an offence. The Companion Animal Act 1998 does require councils to provide at least one off-leash area and we are lucky in having more than that, including access to water at Bayview for those woofers who like a dunk. Perhaps discussion should take place about any of the other beaches now already being used by people to take their dogs for off-leash romps, such as Sand Point at Palm Beach, or North Avalon, North Newport, as an attitude of 'everyone else does it', and 'doesn't matter here' grows, along with the 'I'll set my dog on you', and attempts at intimidating anyone who does not agree with the incessant ignoring of the law and peace and safety of others, is reaching a breaking point on our streets and in our parks. 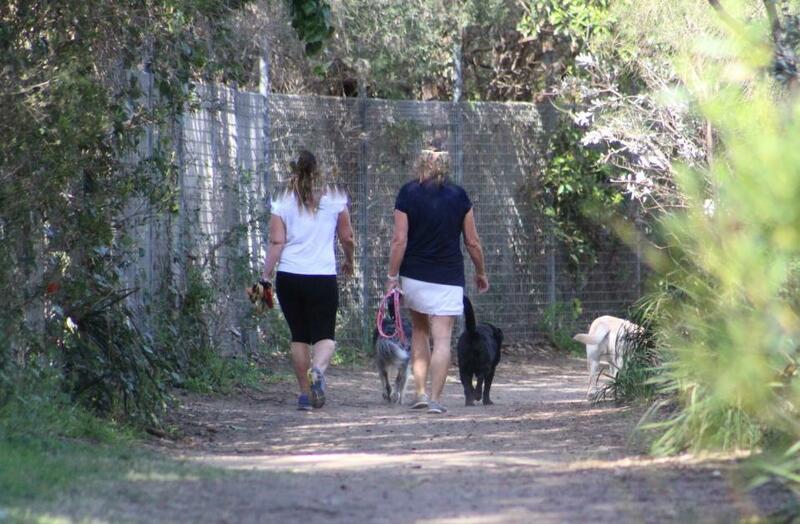 In 2008 Pittwater Council investigated areas for trialling a second off-leash access to water for dogs area alike that at Bayview, on the other side of Pittwater. Five areas were considered, including the south and north areas of Station beach, along with North Palm Beach (ruled out due to surf from site being exposed to open ocean, difficulty of access by the elderly, usage by water users) Snapperman beach(not enough parking) and Sand Point (houses which front this beach don't have fences). Tucked away safe little sheltered corners of beaches, with adequate parking and already in place opportunities for social interaction, where local fauna is not living or frequently visiting and seagrass isn't providing a nursery, did not make that list. It begs the question; Why were none of these alternatives suggested since they're already being used anyway? The 'times' for the access state they will be overnight - who will be ensuring all that is nocturnal and happens along that stretch of beach or golf course is not being chased, harassed, attacked, bitten, killed? We have among us the generations who saw koalas become extinct in Pittwater because they were chased, harassed, attacked, bitten, mauled, ripped to pieces and killed by dogs in the 'bad old days'. Neither the Dog Act 1966 and Companion Animal Act saved them - both came too late. A Palm Beach Water Dragon - photo supplied. Station Beach is known to be the home of already resident for generations birds and other fauna, seagrass nurseries and an endangered ecological community, a golf course, business district and already overcrowded parking, with evidence showing an elevated level of faeces is getting in the water where children swim, as well as a cut-off area the proponents indicate they are clearly bent on ignoring and gaining access to, with or without permission - as is done elsewhere already. Considering the penalty for chasing another animal (a bird for example) is $22, 000.00 or 2 years imprisonment, the Station Beach option via the Companion Animals Act is very liable to produce not only more dead animals in their only home but a fine that is going to put those handed out for taking your dog off-leash in on-leash areas into a whole other perspective. 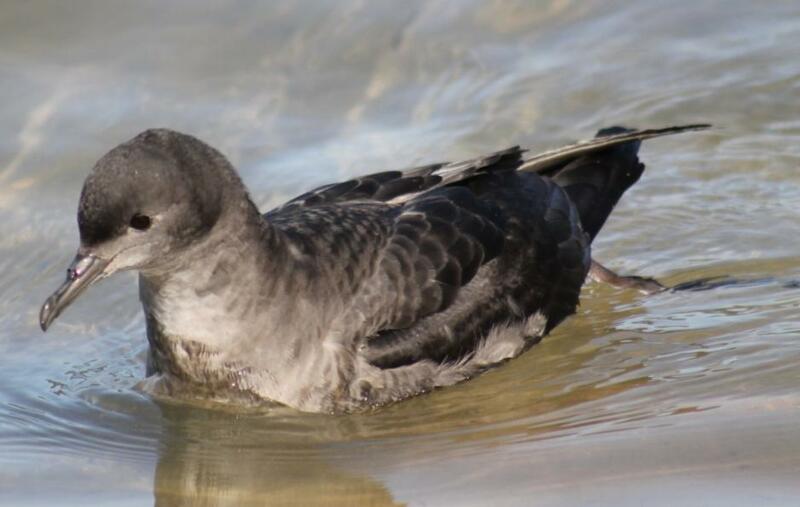 Short-tailed Shearwater or Slender-billed Shearwater (Puffinus tenuirostris) at Station Beach (12.10.2013) - exhausted from thousands of miles of Spring Migration - definitely will not be able to escape from any 'he/she's just playing' dog. The last aspect is the proposal states Station Beach will remain a ‘shared area’. 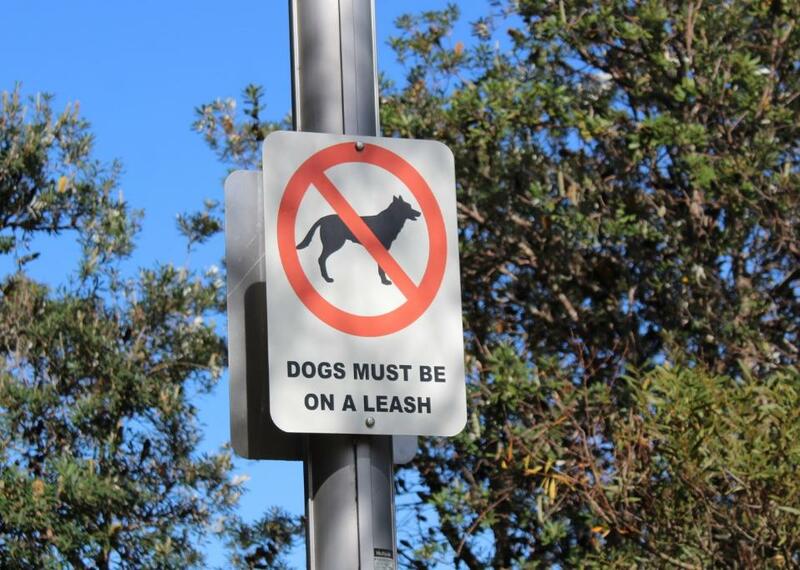 Elsewhere residents are stood over and threatened if they object to off-leash dogs in on-leash places or uncontrolled dogs in off-leash areas. The same occurring in a popular tourist area, as has happened and is happening everywhere else, means those who once would visit will not. Now that another nature area is proposed to be sacrificed, per an election promise by a councillor who has a track record of voting against Pittwater, it's time to hear from all those who beg to differ or agree on all these parts of the proposal. Optioning an area that won’t be so destructive to what's already living there, keep everyone a lot safer, and won't facilitate the clearly stated intention to create more conflict; 'I didn't see the signs and don't know/care about the rules/law - besides, everyone else is doing it', needs to be considered too. The community is fast losing its largesse towards the 'we'll do what we want when we want and where we want' crowd and will continue to send in evidence of the illegal - as shown above. People are fed up with being stalked on social media by aggressive nasty 'trolls' bent on trying to silence any objections to them not obeying the laws that are there for good reasons. The owners of dogs granting themselves rights to let their canine off-leash in previously safe on-leash areas need to return to obeying the rules/law, even without a ranger in sight. To persist in not giving a damn about the hundreds of thousands of others who live and play here - including all those other furry, finned, scaled and feathered animals, underlines why and for whom these laws were required. The proposal details run below – have you say until February 28th 2019 - perhaps even suggest your own ideas about how we may keep all us dog AND nature lovers happy - somewhere safer for pooches and their owners alike, with adequate safe parking, with no environmental treasure being lost and its original voiceless inhabitants thereby, or the loss of the peaceful, and clean, access and enjoyable use by the many other visitors to these places. Careel Creek dog-walkers who ignore signs about the rules - NB: image has been deliberately blurred to hide identitiy of the guilty. 22 Sparks, Tales from Barrenjoey, p57. January 1993, Part 9 p3. 24 Pittwater Council Library, Barrenjoey Lighthouse Vertical File, Pittwater Local Studies. In person - come along and talk to the Parks & Recreation team at one of the following sessions. Comments close Thursday 28 February 2019. The proposed trial would be for 12 months and located in a specified section of the beach. Council proposes a trial arrangement that would allow families with dogs to share a section of Station Beach at specified times of day. The usage remains unchanged through the popular part of the day, but mornings and late afternoons would see the space also opened-up to families with dogs. Environmental monitoring would be undertaken and community feedback collected during the trial (should it proceed). Why is Council seeking community feedback on a trial dog off leash area at Station Beach? Local residents and community groups have over many years advocated for our community to be able to access and enjoy foreshore areas with their dogs. Over the years, several preferred areas have been identified, including Station Beach. 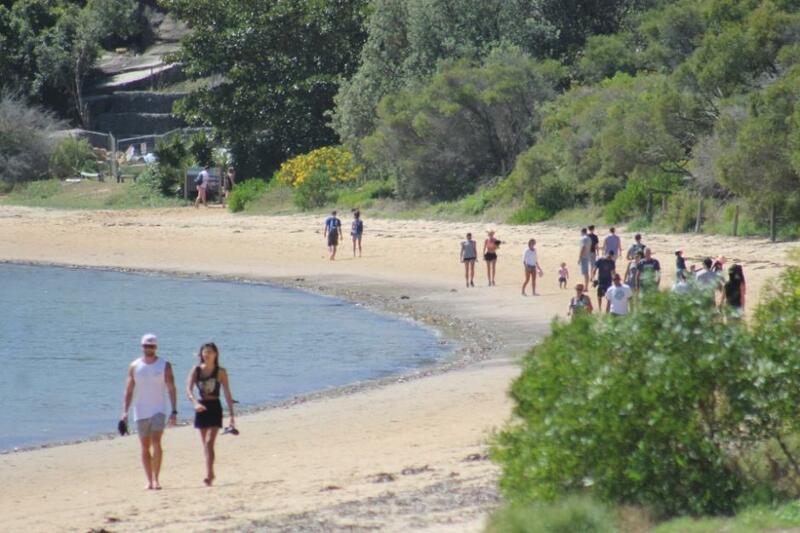 With a growing population, and an increasing number of families with dogs, the need to make provision for off-leash recreation has increased over the years since Careel Bay was closed. In response Council resolved at its meeting held 26 June 2018 to undertake consultation regarding a trial dog off leash area at Station Beach, Palm Beach. Council recognises the benefits of off-leash areas to community well-being including the community building aspect of owning a dog through meeting and forming friendships at these areas. Notwithstanding these and other benefits there are a range of key stakeholders to consult with prior to a decision being made about conducting a trial. 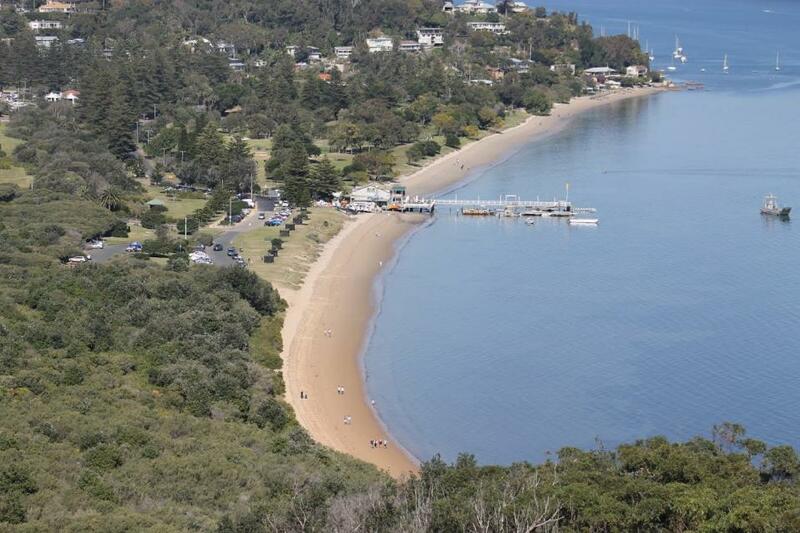 This includes local residents and State government agencies who have responsibilities for the management of Station Beach and the Pittwater waterway. 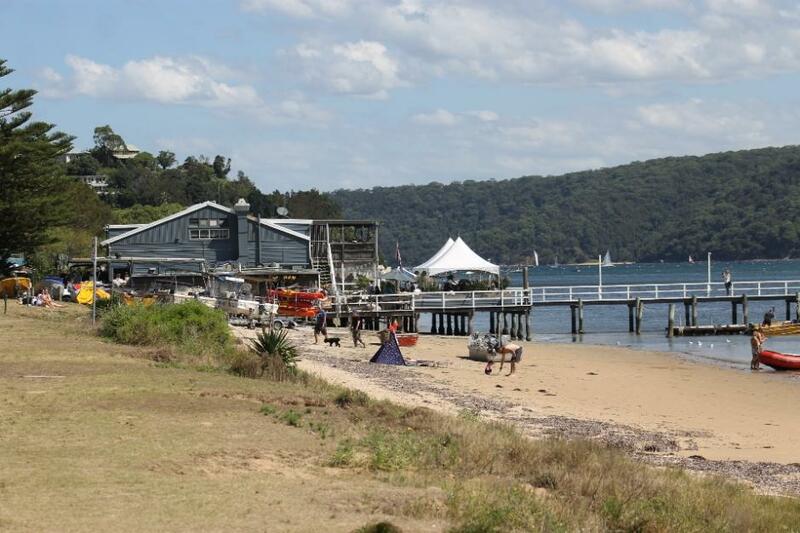 What have the NSW Government Agencies told Council about the proposed trial at Station Beach? Station Beach has inherent environmental sensitivities due to the presence of an endangered species of offshore seagrass. To ensure the potential impacts on shorebirds are addressed, Council is encouraged to engage an ornithologist consultant who is able to provide informed advice regarding the comparative significance of Station Beach to other sandy beaches in Pittwater and whether the potential loss of habitat will impact Australia's three bilateral migratory bird agreements. Given the environmental sensitivities of the site, the Department will require a Review of Environmental Factors (REF) be included with the licence application in order to set parameters to adequately monitor the impact of off-leash dogs. In response Council has engaged consultants to carry out ornithological research and to develop an updated Review of Environmental Factors (REF). An REF was prepared in 2008 in response to a previous investigation for a trial dog swimming area at Station Beach will inform this work. The updated REF and an ornithological report will be completed in February 2019 and will be publicly available following Council review. Findings from the REF and other research will inform how the trial would be managed, including seagrass monitoring, should it proceed. Signage is installed on the beach, stating that dogs must not be allowed to run through seagrass beds at low tide. Provide environmental information, advising that seagrass beds are present in the nearshore zone, including the endangered population of Posidonia australis (seagrass). Seagrass is important habitat for fish, providing shelter, food and a nursery for young. Surveys of the seagrass are undertaken, showing species, distribution and density along Station Beach. The survey should be undertaken immediately prior to and immediately following the trial period. In response, should a trial proceed Council will install the signage and undertake the surveys of seagrass as requested by the of NSW Department of Primary Industries - Fisheries. 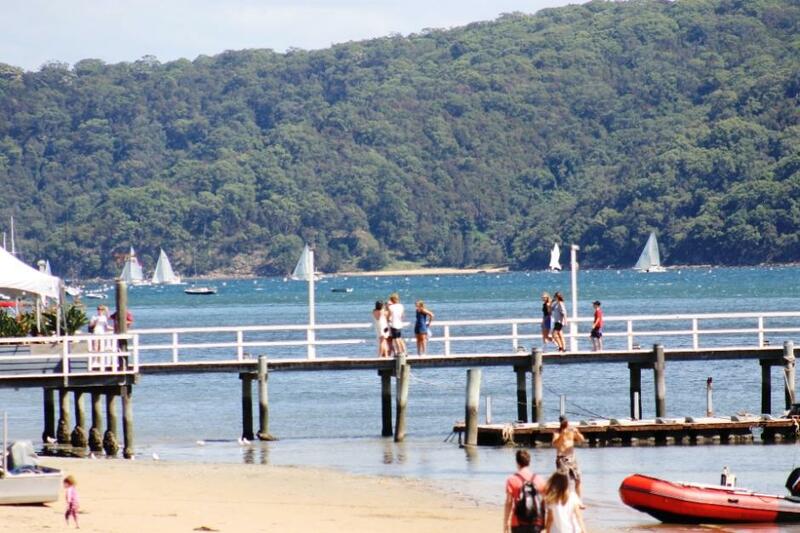 The NSW National Parks and Wildlife Service (NPWS) has indicated to Council that it does not have any concerns with this proposal as long as it is clearly signposted that the northern boundary of the off-leash area is the Boathouse Wharf. Council will need to ensure compliance with the northern boundary to prevent off-leash dogs entering the national park to the north. In response, should a trial proceed Council would install the signage and undertake compliance (as required) requested by the National Parks and Wildlife Service. Where is the proposed trial dog off-leash area to be located at Station Beach? The proposed trial dog off-leash area is located at the south end of Station Beach, Palm Beach. What days and times would dogs be permitted off-leash at Station Beach during the trial? At all other times dogs are not permitted at Station Beach. As required by the Department of Primary Industries - Fisheries, dogs must not be allowed to run through seagrass beds at low tide. For how long would a trial at Station Beach be conducted? The proposed trial would be conducted over 12 months. The exact dates of the trial will be determined following consideration of the feedback received during this community engagement. During this period environmental monitoring would be undertaken and community feedback sought. What are the next steps after the community engagement period ends 28 February 2019? Analyse the submissions and feedback received. Consider the outcomes of the Review of Environmental Factors and other research. Prepare a report for the consideration of Council. During this time there will be updates posted on these Your Say project pages. Watch the reaction of this White-faced Heron in Careel Creek as three unleashed dogs and their owner walk past - it's not rushing towards them - is it? 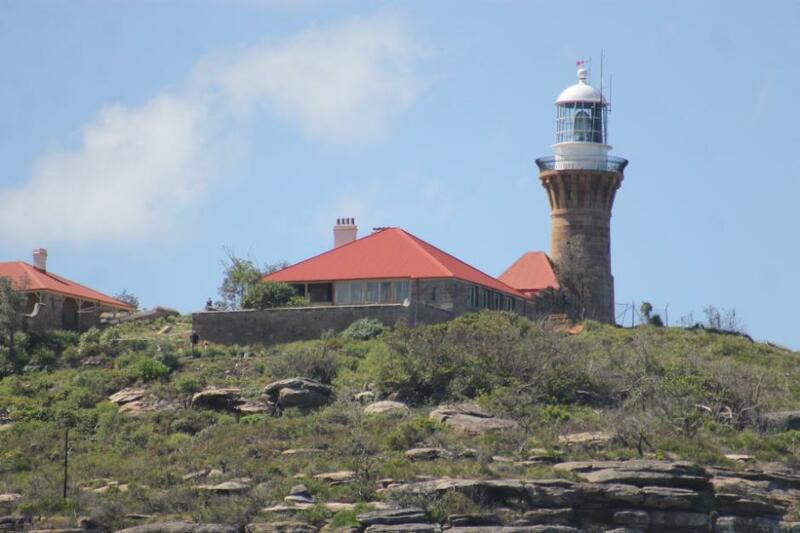 Barrenjoey Headland Thriving After Bushfires - On Friday Environment Minister Rob Stokes announced more than $3 million over four years to restore the historic Barrenjoey Lighthouse and revitalise the Barrenjoey Headland heritage precinct. Friday was also the day the NSW Environment Minister announced the adoption of the amendment to Ku-ring-gai Chase National Park and Lion Island, Long Island and Spectacle Island Nature Reserves Plan of Management. Barrenjoey Headland Keepers Cottages Slated for Accommodation Development feedback on the concept plans can now be made until Saturday 30 April (OEH Page updated April 18) - Community News Issue 263 (May 2016): Barrenjoey Plans Not Going Ahead - Community Rejects enmasse, again. Jervis Sparks: A Tribute: On April the 27th, 2018 a Memorial and Tribute was held for Jervis Sparks at Barrenjoey Lighthouse. Jervis was the lighthouse keeper for the Barrenjoey Head Lighthouse for decades, restoring the then derelict keepers cottages to how thye had once been. Jennifer Kinsella, along with Jervis’ widow Bridget, organised the memorial in his honour. Some of the tribute read that day run this week. NB: Jervis sent the editor of Pittwater Online Newsthrough his Archaeological and Nature Walk studies a few years back - with a request to make these available - so the work will now continue converting those hundreds of pages into a digital format and will shortly be available here, online.